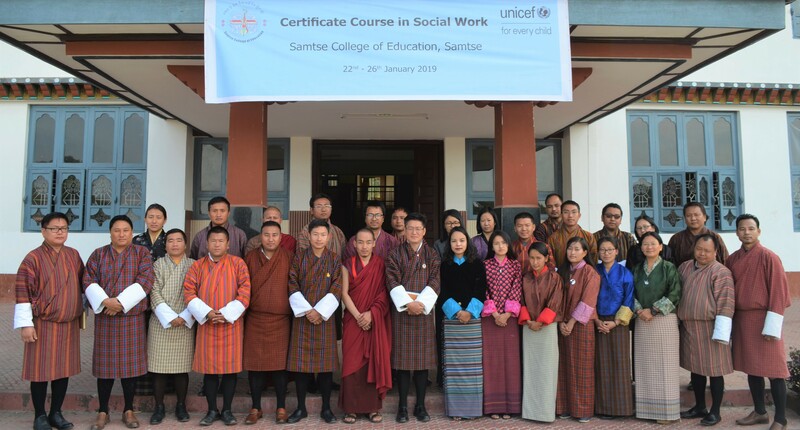 The Five days training workshop on Certificate Course in Social Work for Cohort II, training II, commenced yesterday with a simple opening ceremony held at the College Rigpa hall. A total of 21 participants from various government agencies and civil society organizations are attending the training. 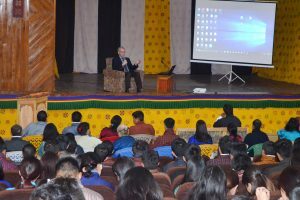 The training is organised to provide participants with knowledge, skills and insights required to be efficient social work professionals. 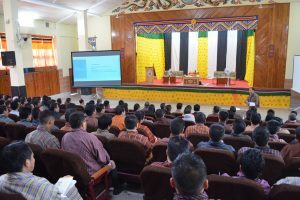 The programme began with a welcome speech by Dr. Ganeshman Gurung, Programme Coordinator, followed by an introductory remark by Dr. Rinchen Dorji, President of the College, who highlighted the role of social workers in 21st century in addressing various social issues and providing social welfare to its community. The training concludes on January 26, 2019, with an award of certificates to the participants.